Tsukiko is in her late 30s and living alone when one night she happens to meet one of her former high school teachers, 'Sensei', in a bar. He is at least thirty years her senior, retired and, she presumes, a widower. After this initial encounter, the pair continue to meet occasionally to share food and drink sake, and as the seasons pass - from spring cherry blossom to autumnal mushrooms - Tsukiko and Sensei come to develop a hesitant intimacy which tilts awkwardly and poignantly into love. 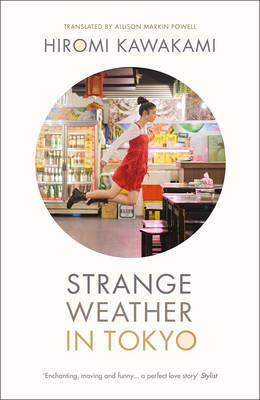 Perfectly constructed, funny, and moving, Strange Weather in Tokyo is a tale of modern Japan and old-fashioned romance.